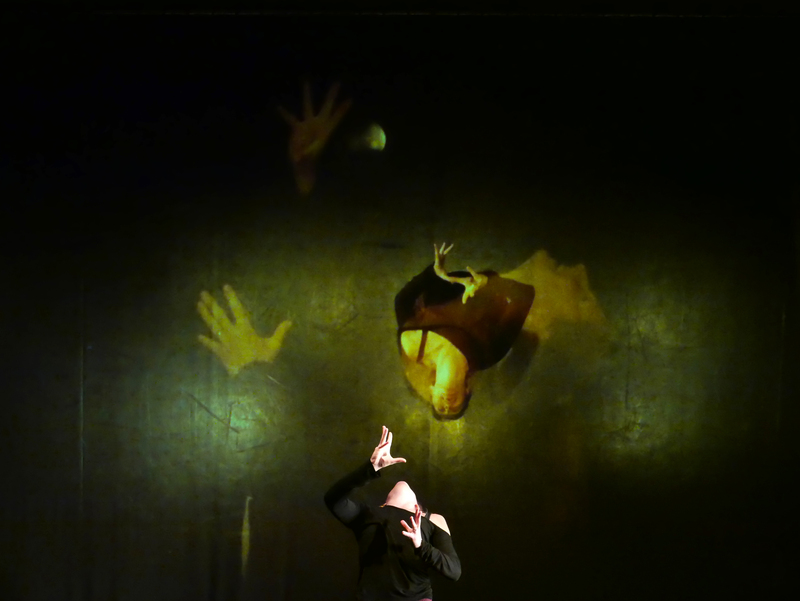 As a choreographer, performer and improviser, Jana Bitterova creates solo projects and also collaborates with visual artists, digital media artists and musicians. 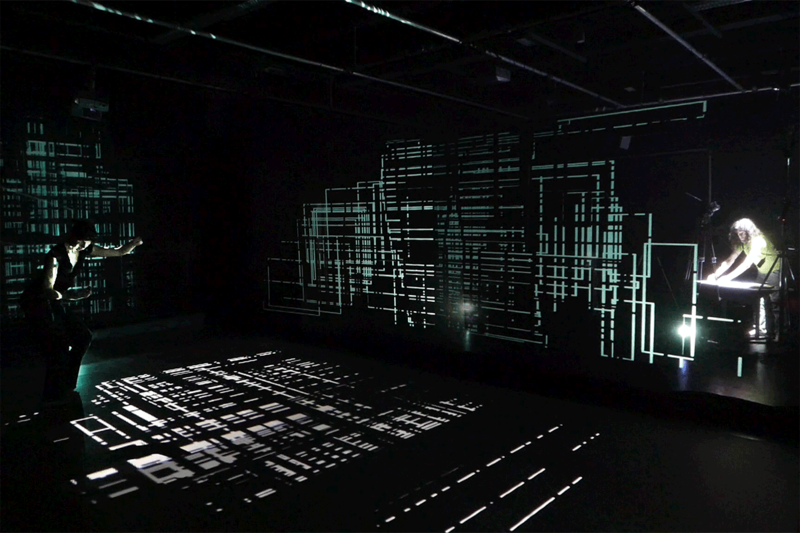 She often works with site‐specificity and she has developed number of multimedia projects and networked performances. What is happening at the very moment when you are watching the performance? Do the simultaneous events influence each other? 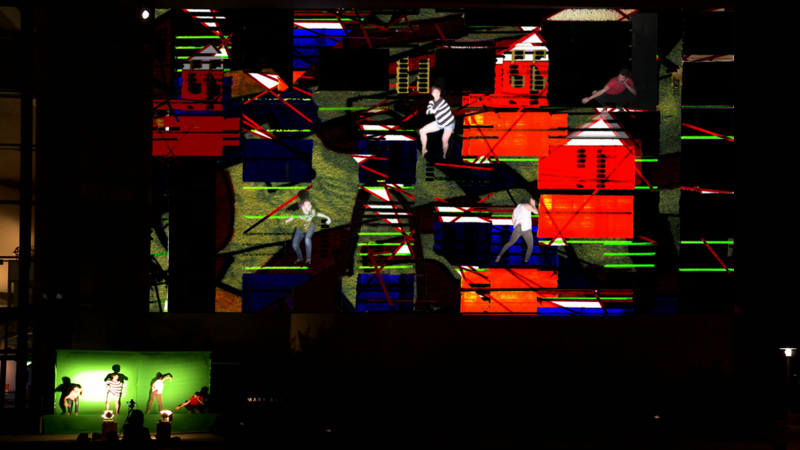 A unique multimedia performance which connects the events in two different places into a unified audience experience. 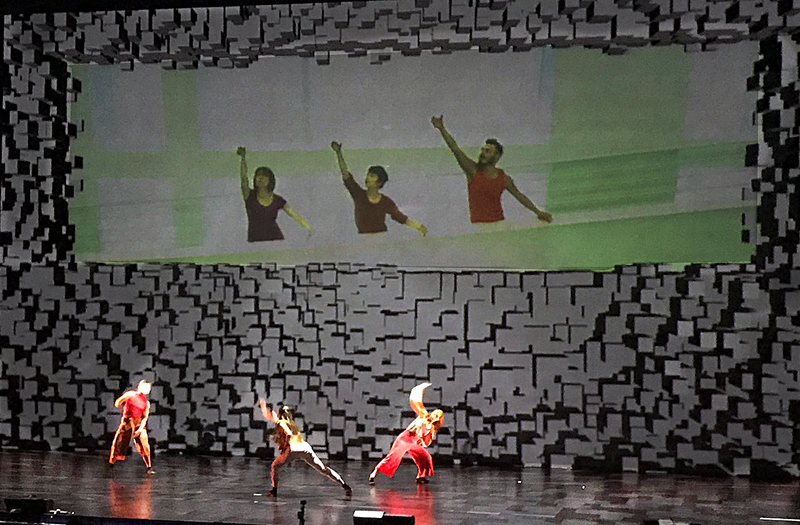 A fusion of contemporary dance, music and the latest technologies creates the specific genre of Networked Performance. In the performance, the authors are exploring: what is the relationship of the observer to the actors transmitted through media? How does our attention alter from the physically present action to the screens and back? Who creates our reality and how many layers does it have? A Networked Performance connecting dancers in the Museum of Contemporary Art (MACBA) in Barcelona and in the International Convention Centre (ICC) in Birmingham, UK. Created to open the annual Digifest event in Birmingham on 12th March 2019. Collaboration on the networked performance hosted by the Royal Danish Academy of Music in Copenhagen – Denmark’s first public networked performance. Longing for the Impossible comprised 5 contemporary compositions which featured a mix of performers in Copenhagen, Barcelona and London. 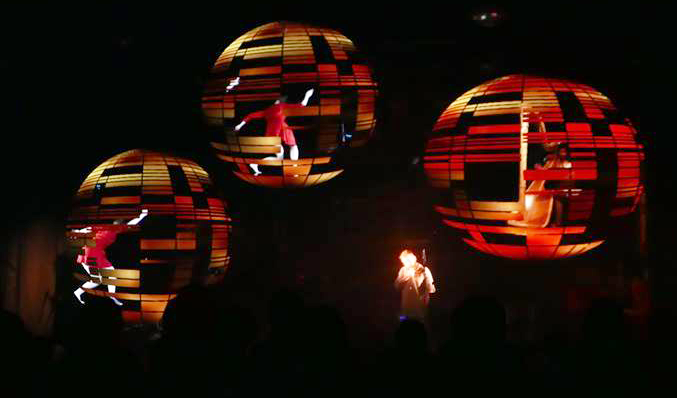 Jana Bitterova collaborated with dancers Marie Lykkemark Simonsen, Georgia Kapodistria, Indrek Kornel, Bruno Ramri, Irene García and Elia Genis to create a networked choreography following a visual theme of orbiting spheres by Studio Biscoe (inspired by the atomic model of Danish physicist Niels Bohr). The performers – regardless of physical location – were all elements of the same performance space as experienced by the audience. Jana Bitterova with Studio Biscoe (visual art & technologies) – collectively “BBP”- developed an innovative approach whereby both visual and dance artists become live collaborative performers. 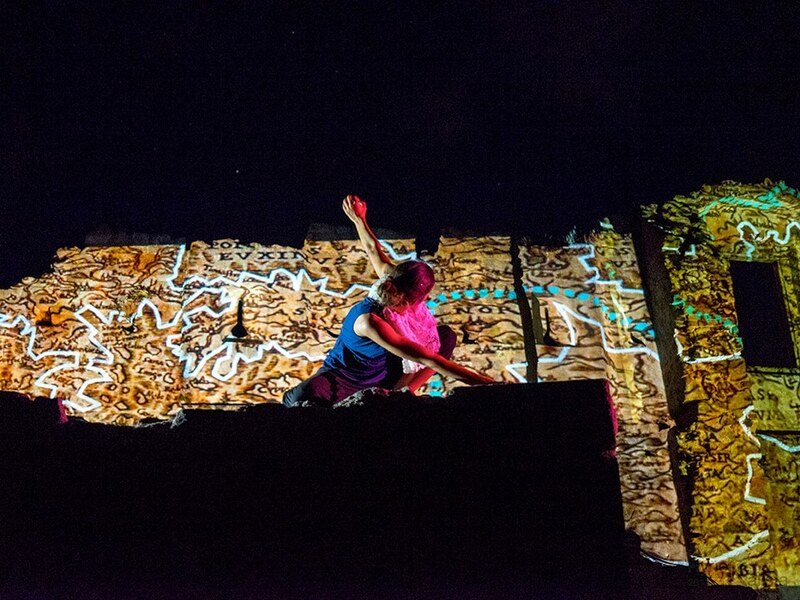 They create performance environment where gestures of the visual artist creates visuals on sides of the performance space, becoming the physical motion of the dance artist, and to which the visual artist can in turn respond. BBP are integrating the technology (gestural sensors, cameras, projection-mapping) that facilitate the interaction between the artists in a fully improvised and structured context. Working from an improvisation, they are interested in the notion of borders and boundaries in both abstract and narrative sense. They also collaborate with live musician Oak Matthias. 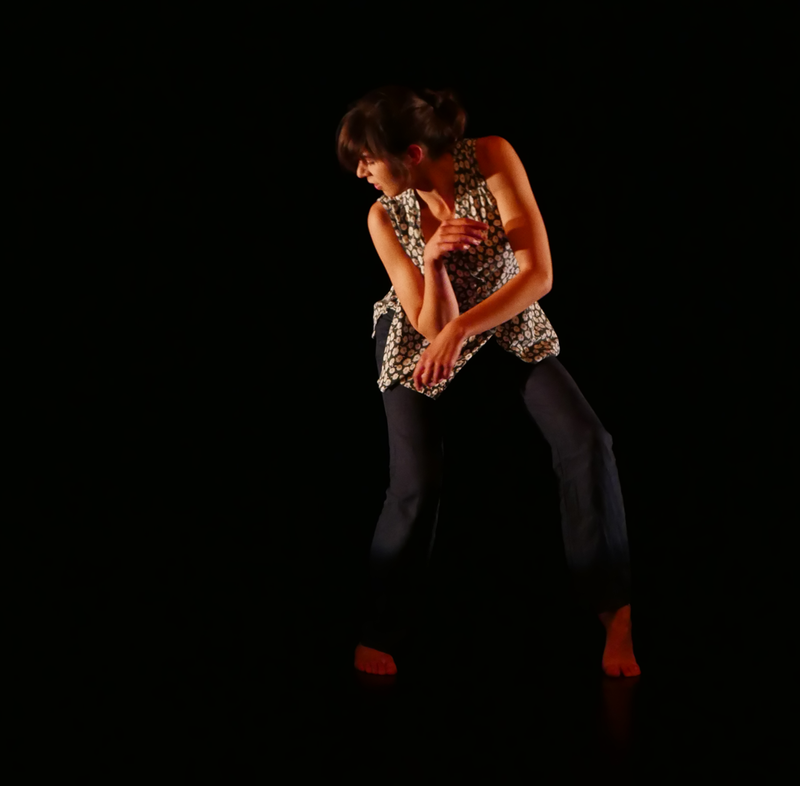 Jana is a member of Free Three improvisational company with dancer Kuldip Singh-Barmi and cellist Oak Matthias. Free Three are interested in improvisation as a form of artistic expression. They regularly perform events called Practice number X, an improvised conversation in movement and sound. Through listening, sensing and responding, an instant composition develops. 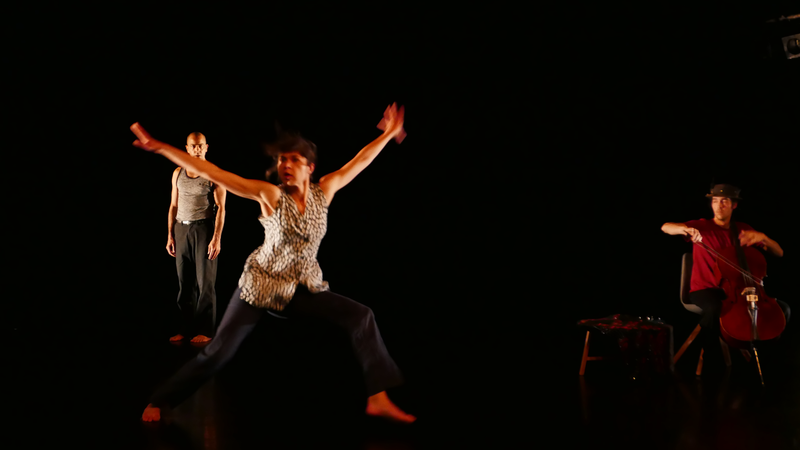 Two dancers and musician take a challenge to be directed by present moment. The contemporary telepresence multidisciplinary performance that examines the cultural ties formed by immigrants between their adopted home and their place of origin; the links that are established virtually between these places and peoples through the Internet. Bridge to Everywhere connected performers in Miami and Havana – in two locations, which are only 234 miles far from each other, nevertheless due to the political situation it is challenging to make any direct connection. We built the bridge between Cuban immigrants living in Miami and their country of origin. As a choreographer, performer and improviser I create solo projects and also collaborate with visual artists, digital media artists and musicians. My interest lies in the pure physicality of the body and the understanding of its functioning, the relationship of human movement and the surrounding world. Through this understanding I investigate the social, ecological and political meanings of the moving or still body in space. I work with site‐specific projects, creating both the outdoor projects in cities, rural areas and in nature, and in nontraditional indoor spaces such as museums or libraries. I use limited – nevertheless inspiring – spaces to develop new movement, visual and audio possibilities, playing with three dimensional use of the space and investigating contact with the objects and materials that are found there.